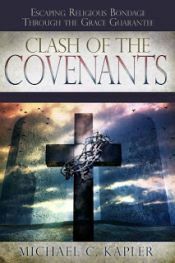 Confusion between the two covenants has led to confusion on other popular topics of Bible discussion. Misunderstandings about the ministry of Jesus, repentance and sanctification have caused people to be drawn into Old Covenant practices, which places them back under various types of legalism. It's important that we realize we have been gifted with sanctification (set apart) through the work of Christ at the cross and not through our self effort. YouTube version of this episode.